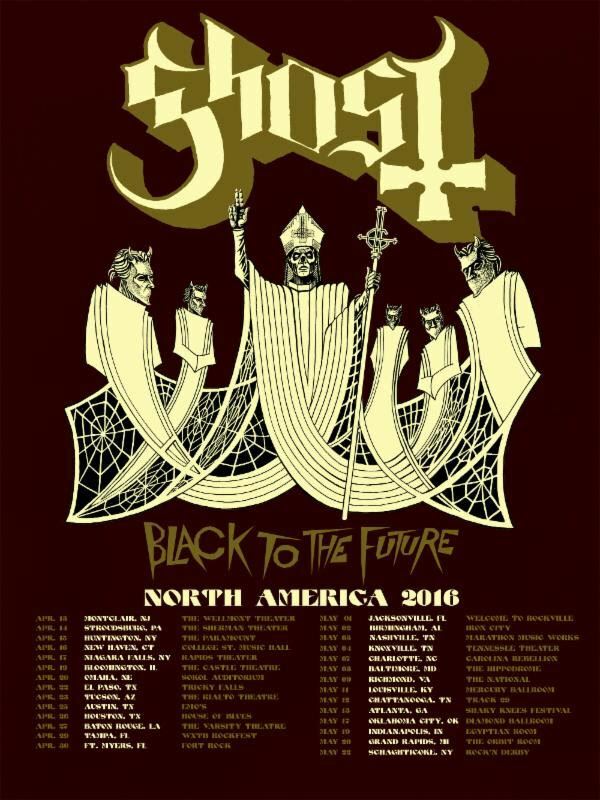 Swedish occult rockers GHOST will return to the U.S. this spring for a headlining tour that will kick off in Montclair, New Jersey on April 13. Tickets will be available for purchase beginning this Friday at 10:00 a.m. local time. GHOST is among the nominees for the 58th annual Grammy Awards, which will be held on February 15 at Staples Center in Los Angeles and broadcast on CBS at 8 p.m. ET. 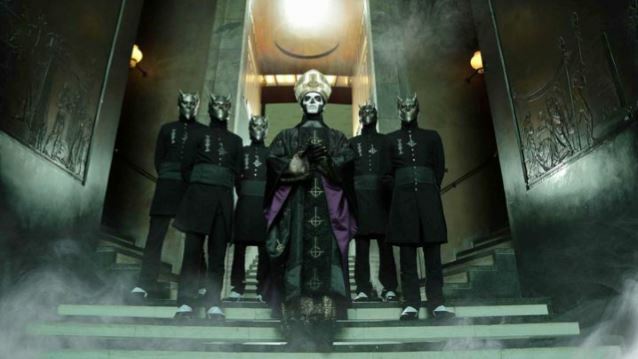 GHOST is nominated for the song "Cirice", from the band's third album, "Meliora". 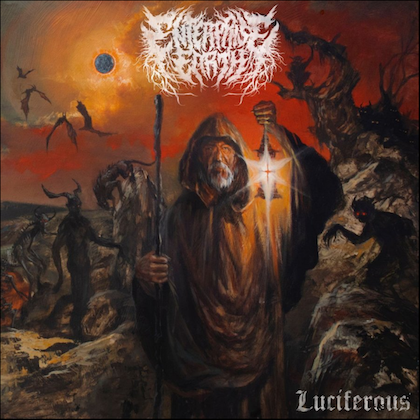 "Meliora" entered The Billboard 200 chart at position No. 8 with first-week sales of just over 29,000 units — nearly all from pure album sales. 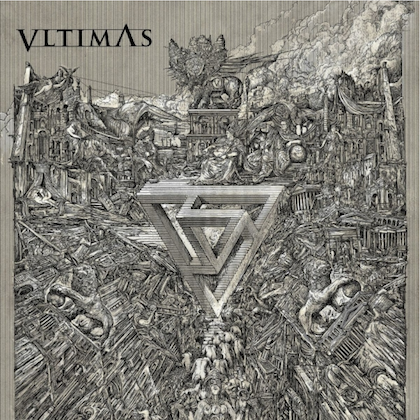 "Meliora" was released on August 21, 2015 via Loma Vista Recordings. 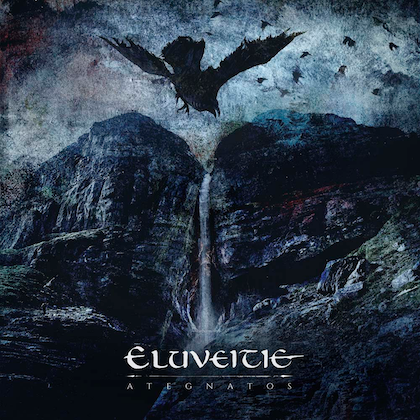 The CD was helmed by Klas Åhlund, a prolific songwriter, producer and guitarist who is also a member of the Swedish rock band TEDDYBEARS, and was mixed by Andy Wallace (SLAYER, NIRVANA, SEPULTURA, LINKIN PARK, GUNS N' ROSES). GHOST is one of just four bands from Sweden to have been in the Top 10 on The Billboard 200 album chart (joining AVICII, ACE OF BASE and EUROPE). Papa Emeritus III and his nameless ghouls capped off a landmark year with their late night television debut on the "Late Show With Stephen Colbert"'s Halloween show on CBS with a rousing performance of their song "Cirice", which reached the Top 5 at radio at Active Rock and Mainstream Rock.